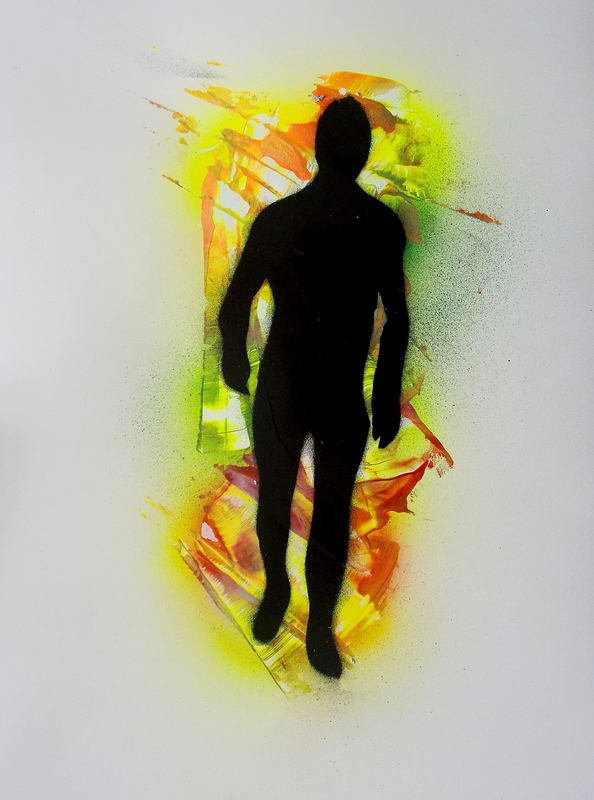 Spray painting on gloss paper semi abstract painting representing emerging from primeval chaos and evolutionary progress, Mankind. 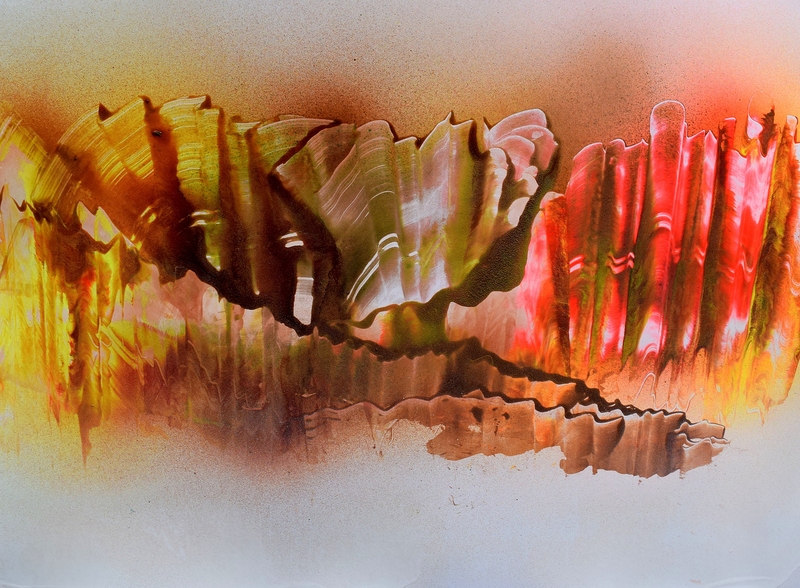 Spray paint on gloss paper semi-abstract painting representing a range of earthquake folded striated peaks arising through a thick fog surrounding their lower slopes as the winter sun’s rays are reflected off their slopes . 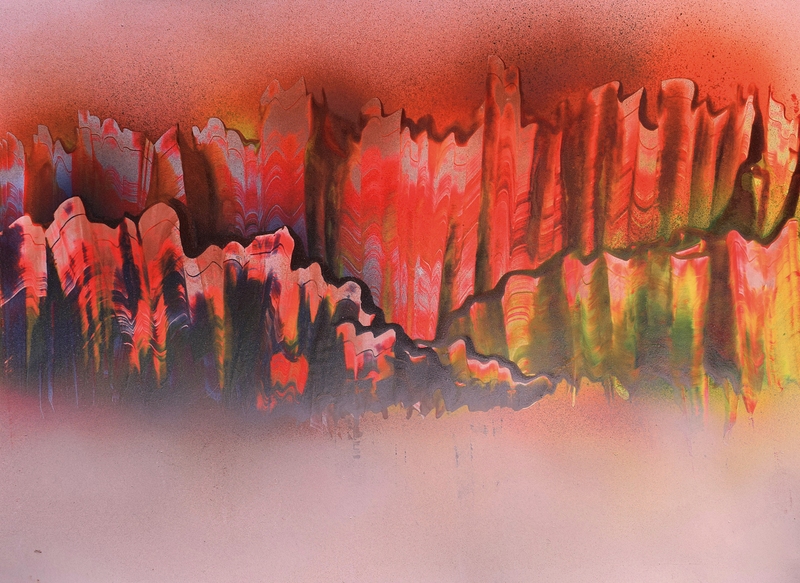 Spray paint on gloss paper semi-abstract painting representing a range of earthquake folded striated mountains arising from the cold mist surrounding their lower slopes as the rising sun’s rays bathe their slopes and the sky on a winter morning. 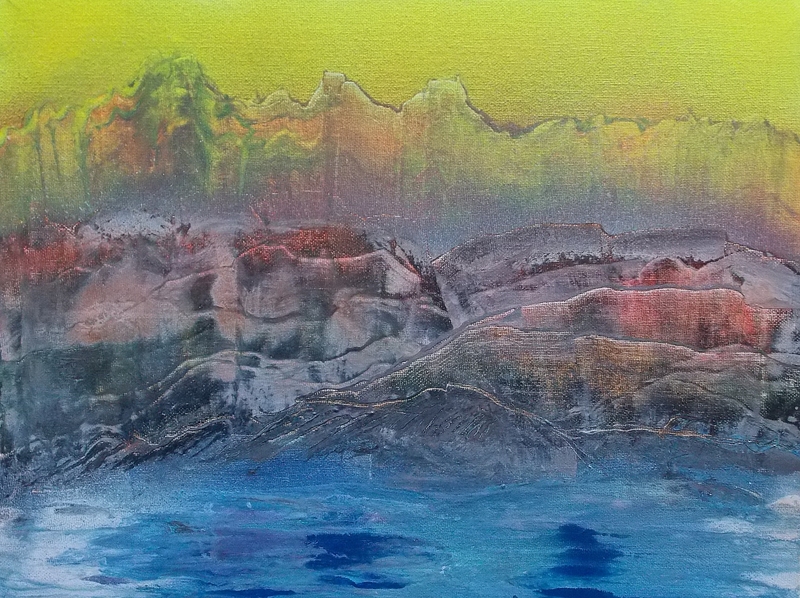 Spray paint on a box canvas frame semi-abstract painting representing a winter’s day where a cold mist is lingers over a blue lake and amongst the crevices and slopes of the nearby mountains. 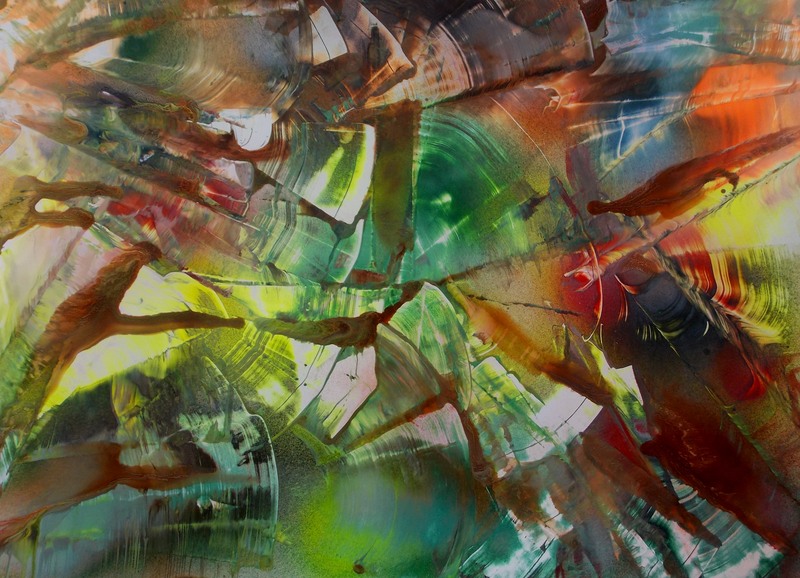 Spray paint on gloss paper abstract painting representing a cross sectional view of the various minerals and their colours through a sliver of rock. 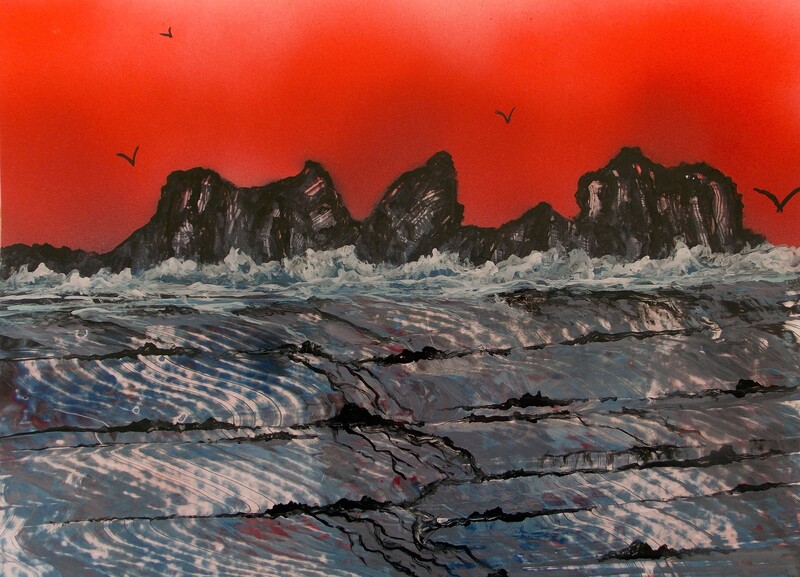 Spray paint on gloss paper painting depicting a small group of birds flying towards a collection of black rocks while waves lap at their bases and run down over the nearby sunken terraced landscape. 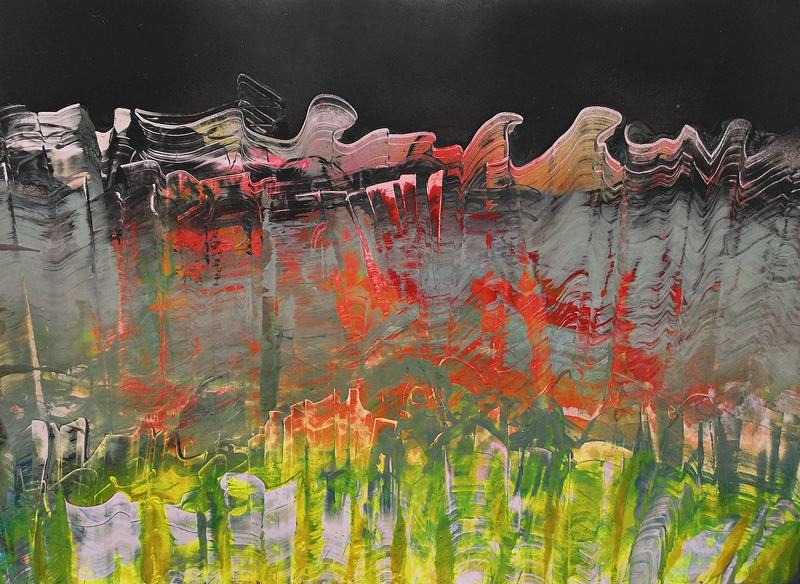 Spray paint on gloss paper abstract painting representing a range of earthquake folded striated mountains in the centre of Iceland over which the darkness of night has arrived.